The releasings of doves is an alternative to the throwing of rice/ bird seed, the blowing of bubbles or the release of helium balloons, all of which are not as friendly to the environment as the spectacle of doves being hand released and flying away. The items displayed below can also be incorporated into your wedding ceremony depending upon your needs. A practice session here at the loft is provided prior to all hand releases. 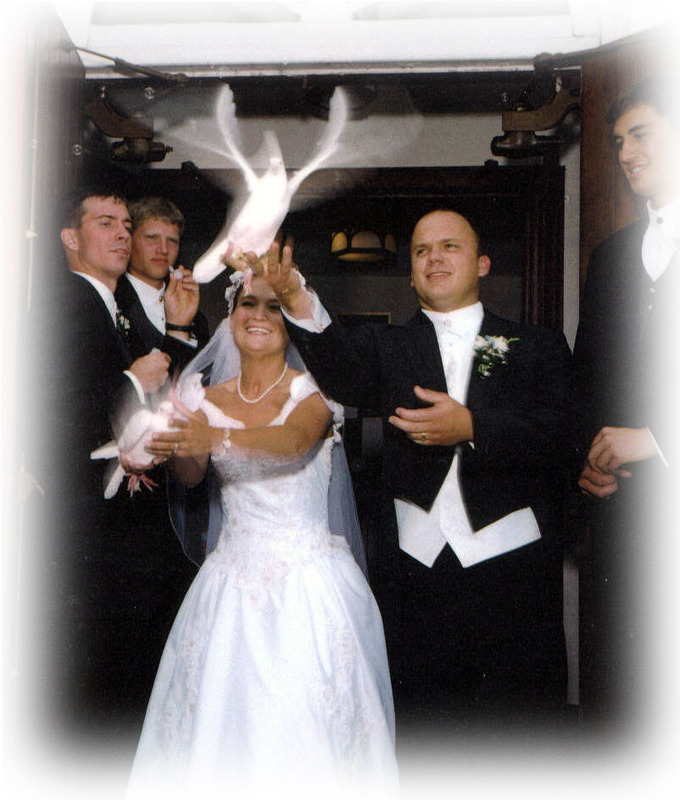 This session will answer all your questions about the birds and you will become comfortable with the handling of birds for your special day. Along with this free practice session you will have a choice of selected readings to be incorporated into your brochure. 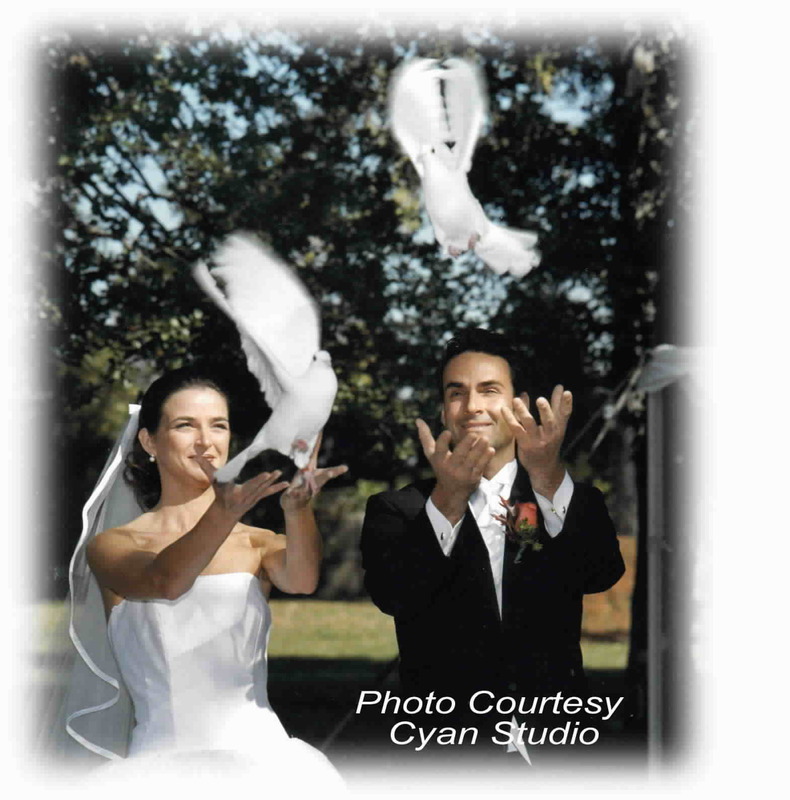 Additionally after viewing our collection of wedding photos you will have some idea of what type photos of the dove release you want incorporated into your wedding album. Whatever your needs, we will be happy to work with you. 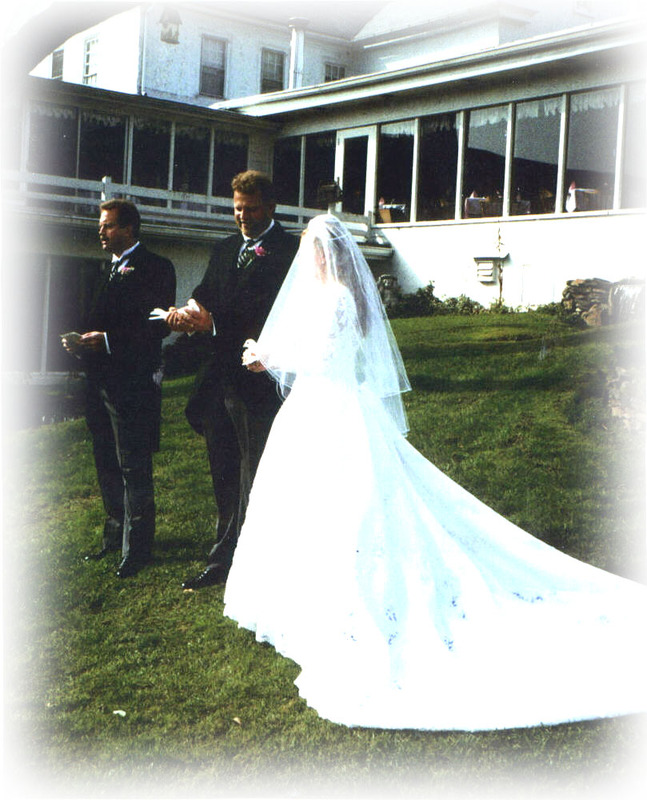 At your ceremony we coordinate with your photographer/ video technician to be sure they capture this special monemt on film, as shown in the photos above. .We specialize in white dove releases in Pennsylvania. Our white dove releases in Pennsylvania service the Philadelphia areas and nearby Cherry Hill, New Jersey areas. 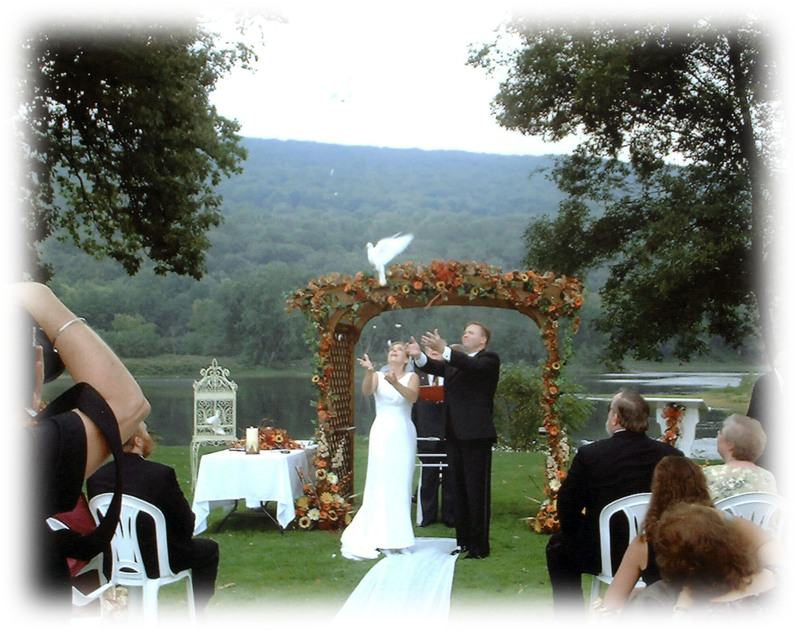 Our white dove releases will compliment your wedding ceremony for a memorable experience.